Do you love the beach – its wildlife, scenery, plants, shells and saltwater? Do you want to share your love and knowledge with others? 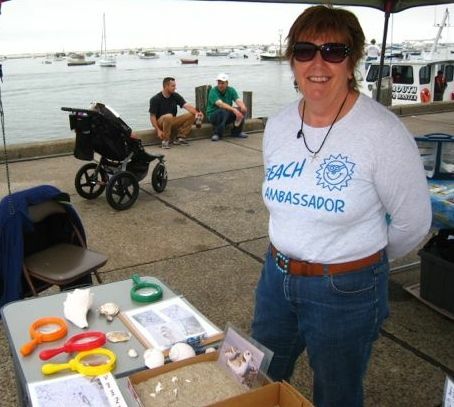 If so, Beach Ambassadors may be the volunteer opportunity for you! 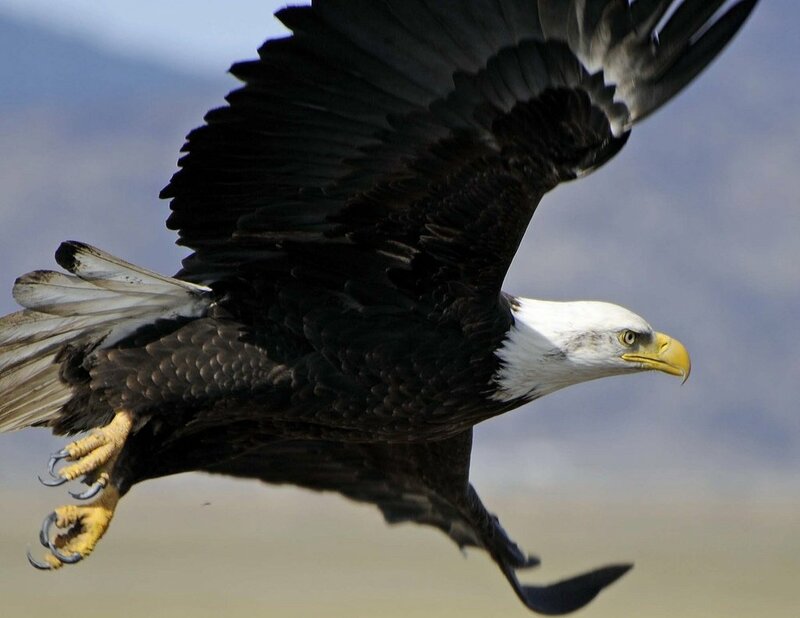 We run three sorts of programs at Long Beach and Nelson Park in Plymouth: osprey viewing stations, kids’ nature discovery activities and nature walks. We also lead programs at outdoors and wildlife festivals throughout the spring, summer and fall, such as PineFest in Myles Standish State Forest and the Cape Cod Wildlife Festival in Barnstable. We believe that people and wildlife can share the beach and other coastal areas. 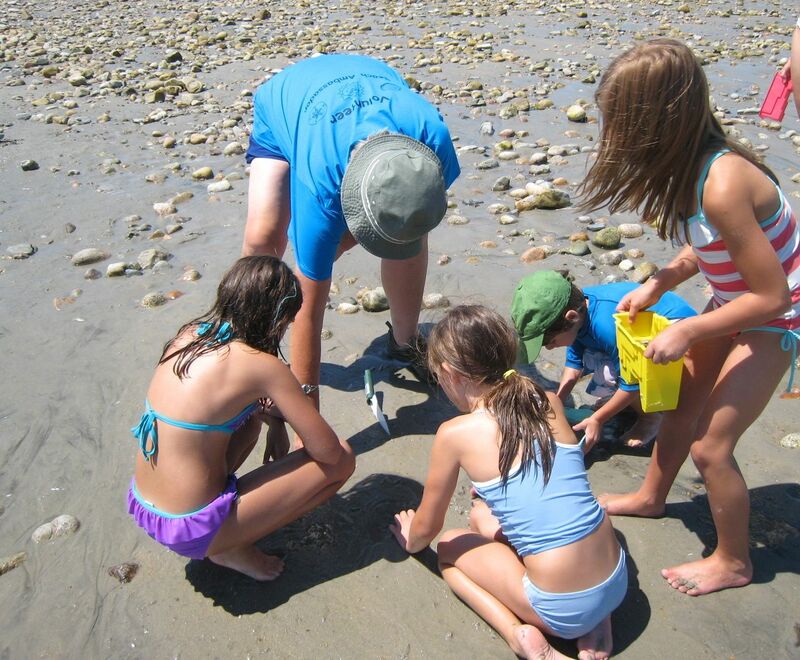 We help beach visitors discover and enjoy wildlife, plants, shells, sand and more in ways that allow all to thrive. Nature discovery games for kids. Beach Ambassadors participate in an intensive training consisting of six classroom sessions and three to four field trips. Afterwards, each Ambassador volunteers a minimum of 30 hours from Memorial Day through Labor Day weekend. Each volunteer chooses what they would like to do: introduce visitors to our local osprey families at their nesting platform, run nature activities for kids on the beach or at festivals, or lead nature walks for adults and older children. Instructions, supplies and oversight are provided. There are also opportunities for citizen science and stewardship projects like taking notes on osprey behavior and entering the data in an online national database, conducting shorebird surveys, helping to restore roseate tern habitat, picking up trash off the beach and helping to erect and move symbolic fencing that delineates beach-nesting bird habitat. Potential Beach Ambassadors should enjoy be in good physical condition and be able to walk at least a half-mile in sand. They should be able to withstand the sun, heat and wind of the beach. Experience teaching, leading nature walks, and/or bird watching is useful, but not a requirement. To find out more about Beach Ambassadors, email Dorie Stolley, the volunteer coordinator, at dss@goldenrod.org or stop by our Summer in Winter event on February 18 at the Plymouth Council on Aging at 44 Nook Road from 9 a.m. to 11 a.m. We will share family activities like Beach Bingo, Nature’s Treasure Chest, and Wrack Attack. We will also set up the osprey viewing station and you can observe an osprey family…on videotape! Some of last year’s Beach Ambassadors will be on hand to answer questions about the program, too. Find an application by clicking here. See the class and field trip schedule by clicking here.